The LT®1963A series are low dropout regulators optimized for fast transient response. The devices are capable of supplying 1.5A of output current with a dropout voltage of 340mV. Operating quiescent current is 1mA, dropping to <1μA in shutdown. Quiescent current is well controlled; it does not rise in dropout as it does with many other regulators. In addition to fast transient response, the LT1963A regulators have very low output noise which makes them ideal for sensitive RF supply applications. Output voltage range is from 1.21V to 20V. 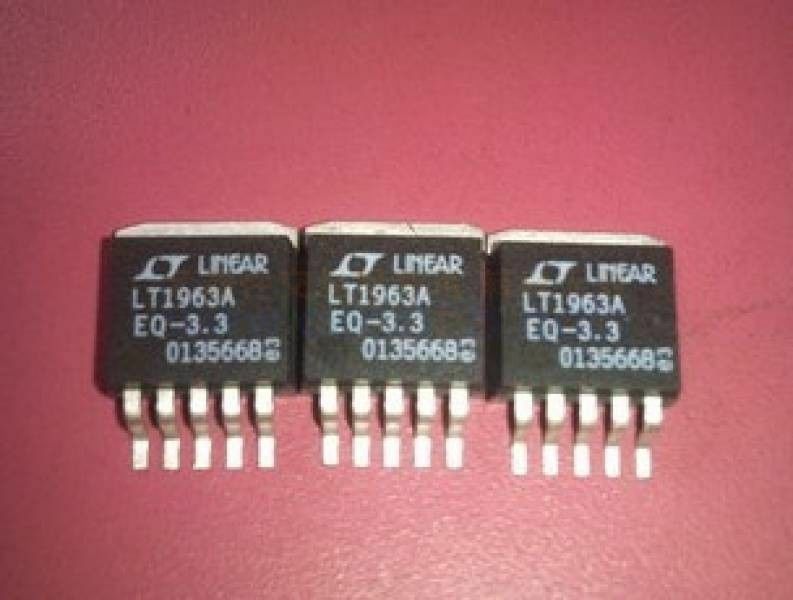 The LT1963A regulators are stable with output capacitors as low as 10μF. Internal protection circuitry includes reverse battery protection, current limiting, thermal limiting and reverse current protection. The devices are available in ﬁ xed output voltages of 1.5V, 1.8V, 2.5V, 3.3V and as an adjustable device with a 1.21V reference voltage. The LT1963A regulators are available in 5-lead TO-220, DD, 3-lead SOT-223, 8-lead SO and 16-lead TSSOP packages.